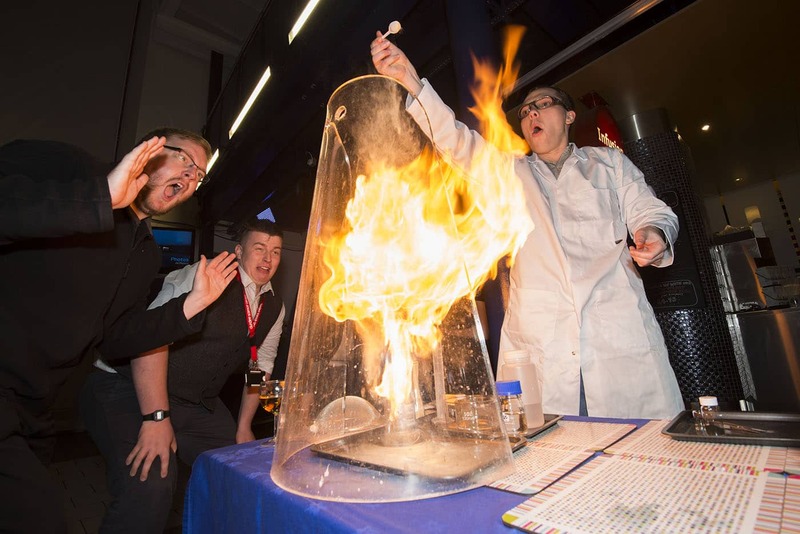 Science will well and truly come ‘Home’ this weekend, as the Homecoming Scotland Family Fun Day kicks Dundee Science Festival off with a BANG! A free event in The Steeple Church, Nethergate on Saturday 1 November 2014 (10am-4pm) will feature everything from robots and explosions to food and drink facts and fiction. Visitors will be able to experiment with gases, helping scientists make oxygen and carbon dioxide, and explore how dangerous dust can be, set some money on fire and play with hydrogen! There will also be the chance to meet and mingle with experts from the food and drink industry and take part in experiments which show the science behind many different areas of our life, including sugar skull making and an insight into a real Chinese tea ceremony. Balloon kebabs, elephant toothpaste, home-made fire extinguishers and dry ice will also feature in this fantastic day out. Meanwhile, a free family fun day will also be held at Dundee Science Centre on Sunday 2 November 2014, with exciting shows, hands-on workshops and interactive exhibits. Visitors can also learn what it would be like to have super powers, learning how to defeat the ‘bad guys’ in the real world of science, while testing their memory with Alzheimer’s disease experts and even learning the science and techniques of historical swordplay! Visitors are advised to book their preferred slot – from 9am-2pm, or 2.30-6.30pm. Please telephone (01382) 228800 to do so, or email festivals@dundeesciencecentre.org.uk. 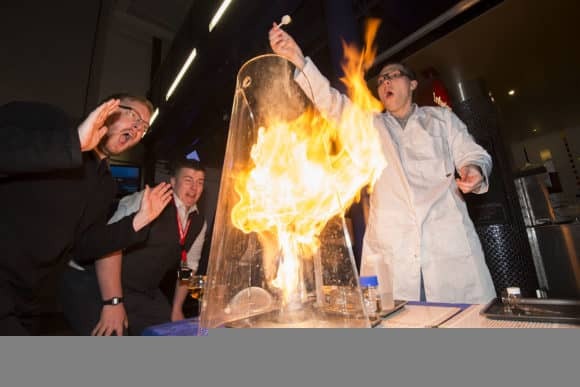 Dundee Science Festival, which will run from Saturday 1 until Sunday 16 November 2014, is a two-week city-wide celebration of science, providing fun, entertainment, inspiration and curiosity for all ages. With a new ‘personality’, the festival will host a staggering 112 events this year, twice as many as last year. Audiences will have the chance to explore everything from the world of forensic science and dementia to the role of optimism in sporting success and the wonders of the night sky. Meanwhile, families can try their hand at making bat boxes in Dundee’s Baxter Park, building brush robots in the Wellgate Shopping Centre and getting fully immersed in science fun at free family days at Dundee Science Centre. The festival will also fuse science with food, music and art, with an opportunity to enjoy wine-tasting and dine out in a completely darkened restaurant, or enjoy some ‘Brainsex’, with an irreverent combination of comedy, video, songs, game shows and experiments.